In an effort to reinvigorate my brain, I am going to – yet again – attempt to blog. As this particular post is winding up in my adoption blog, obviously the subject is to do with adoption – however, as of yet, this post is unformed, and thus may travel in any direction from here. An obvious starting point could be the first -gate fiasco I’ve heard of this year – that of the Circle of Moms Adoption Blog Award controversy. Real Daughter encapsulated the drama, whilst poor Declassified Adoptee tries hard not to rage in hurt over it all. 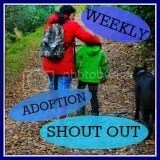 Other notable posts encountered today can be found by Joy’s Division, Life As Eri Knows It, and iAdoptee. When it comes to discussing adoption, just how many individual issues are there? While yes, we were once adopted children, we are now adopted adults. conflating issues. It is not essential – nor even important – to legally severe a child from its heritage in order for that child to be raised in love, and with care and concern. That adoption is deemed the only choice to be encouraged – even above non-destructive methods such as “legal guardianship” or “parental responsibility” (perhaps the laws governing PR could be widened to provide such permanence, for example) indicates grossly this Government’s intent on destroying families. Theses describe – pretty accurately – how I feel about adoption. I recognise that children need permanence, but severing the history of the person who is the one already losing everything else is nothing short of barbaric. For those interested, my Adoption Mania blog has an entry quoting some of Jenny Keating’s works. The quotes remind the reader that legal annihilation of someone’s past did not begin until the 1920s in England, and were begun to protect the adopting parents from the evil biological families. All this separation does however, is stupefy the child, leaving it left to work out the world with nothing familiar about it. Daniel’s post, while seeming far from the history of adoption in England, does have some commonalities, and also links back well with the kinds of proposals I would like to see (such as greater care within the extended family for a child with parents that won’t/don’t/can’t parent, and a lack of legal annihilation).